Sachin has been instrumental in setting up Information Technology group including a software development team and information security practice at Evalueserve. He had successfully converted the internal software team from a cost center to a profit center. 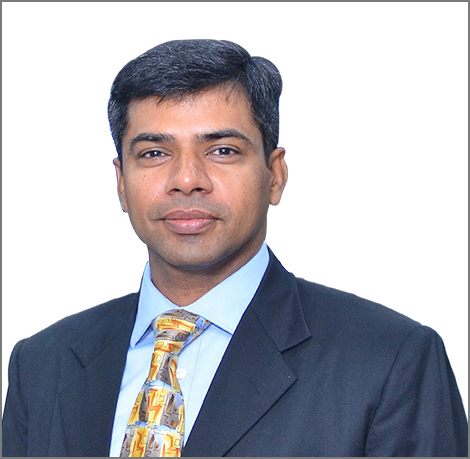 He won the Award for best CIO under 40 years in 2009, Innovative CIO 100 award in 2007, CIO 100 award in 2012, Green Crusader award in 2012, Astute 100 CIO award in 2013, Dynamic 100 CIO award in 2014, EMC Transformers award in 2012 and 2015, IT Excellence award in 2013, Edge award (2010, 2011, 2012 and 2013), Top CISO 100 award in 2011, 2012, 2013 and 2014, DQ Business Technology Award in 2015, Top 100 innovative CIO award in 2015, Security Supremo Award in 2015, Business Impact Award in 2015 and IDC Insight award in 2014 and 2015.